Technology change tends to be iterative, and manufacturers conservative when adopting new technologies. Few companies risk being early adopters until the technologies prove themselves. Sometimes however, new idea come along that have the potential to make a seismic change. Smart manufacturing is now is one of those times. Whether you call it IIoT, Industry 4.0, or 4IR, manufacturing companies are waking up to the opportunities the technology promises. Digitisation lets manufacturers apply new thinking to data to improve performance and productivity. Furthermore, device and equipment makers are also addressing digitization and the concept of big data. Markedly, the leading automation suppliers are adding support to common collaborative automation standards like OPC. Siemens, Rockwell Automation, Schneider and Mitsubishi support OPC UA, TSN and other solutions. Complex, integrated networks are developing to achieve higher productivity with lower resource consumption. Machines, devices and applications are becoming smarter by embracing these changes. When it comes to investment decisions, cooperation with an experienced partner brings considerable advantages. 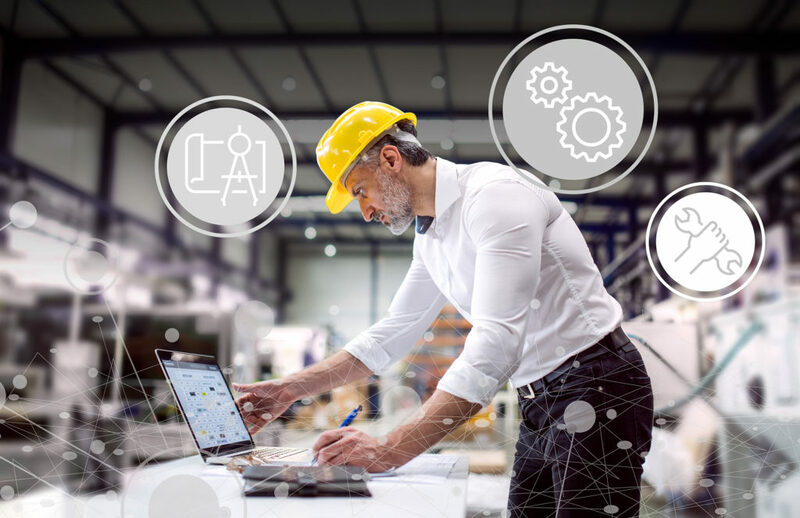 Data collected from the users systems become an enabler for new products, services that support companies in the integration of smart manufacturing projects. Mitsubishi Electric is developing products and technologies and solutions that encompass newly accessible data in three production areas: engineering, manufacturing and maintenance. MAPS 4 is a life cycle management tool saving time in project development and integration. Its object orientated functions integrate and visualize Mitsubishi Electric devices and external equipment. Moreover, it delivers fast connection to the cloud and is adaptability and scalability for future needs. Software tools are essential for enabling companies to achieve a faster time-to-market. Mitsubishi has equipped its iQ Works software with Automation ML interface and Eplan electric E8. Production line robots are increasing, and an linear transfer system simplifies intralogistics integration. The system has smart carriages performing as workpiece carriers. Their integrated intelligence adapts their route in real-time depending on the situation, and reduces system downtime. Making energy consumption more transparent reduce use and stress on electricity supplies. It also provides valuable information for predictive maintenance. MEnergy is an intelligent modular concept for low and medium voltage applications. It comprises of the EcoMonitor Light energy measurement component, MEprotect digital protective relay and MEsoftstart soft starter. Manufacturers are also using predictive maintenance rather than scheduled maintenance to reduce unplanned downtime. It is both more efficient and more effective. New products like “GOT drive” are finding their way into servos and inverter drives. It supports commissioning, and maintenance via the graphical user interface of a GOT2000 HMI. The drive can record load data from the machine and issue an early warning signal on reaching a defined threshold value. Ready-built visualisation templates make commissioning faster and more convenient. Using “GOT Mobile”, production data is available from any location, and alarm messages received on mobile phone, tablet or PC. Maintenance support for on-site service is also provided by an augmented reality IIoT application. Displaying digital twins in virtual space shows maintenance requirements and makes recommendations.